Locke Mountain Townhomes offer affordable slope side luxury at Sunday River with stunning mountain views and plenty of room for everyone. Cathedral ceilings and a cozy central fireplace make these spacious 3-4 bedroom homes perfect for entertaining or just spreading out and relaxing after a day at the mountain. Ski-in, ski-out convenience from Wildfire and Tempest trails and outdoor ski storage closets makes coming home for lunch absolutely hassle free. The beautiful outdoor common area with heated pool and Jacuzzi, private sauna and large indoor complex building provides yet another opportunity to enjoy your off mountain down time. And the short commute to Barker Lodge or White Cap Base Area makes Locke Mountain the perfect location for both daytime activities and nighttime fun. 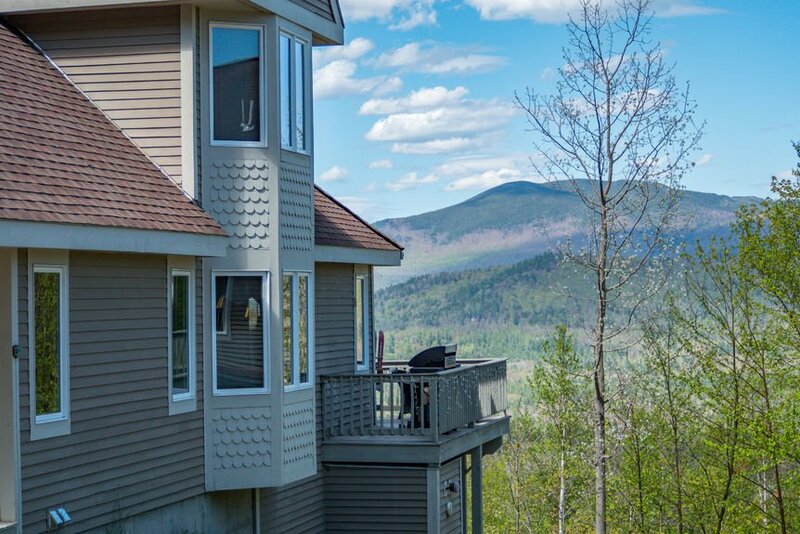 View our selection of available properties in the Locke Mountain Townhomes at Sunday River area.